While I’ve never owned my own bike I have intensely loved them since I was a little girl. 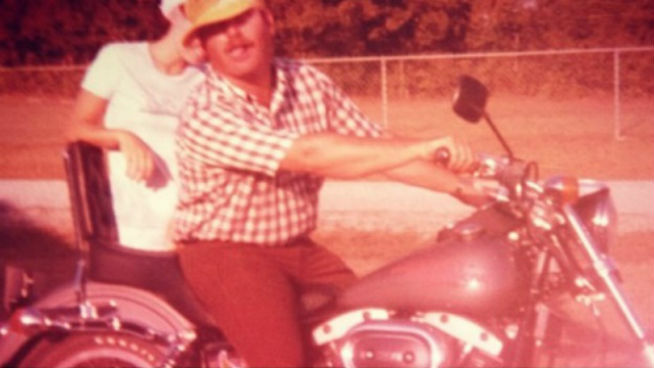 Even from my earliest childhood memories my Daddy always owned a motorcycle and I loved nothing more than being on the back of that bike with him cruising around. We would go on Saturday afternoon rides to the lake and even went on a bike trip through the Ozark Mountains. Every Saturday morning my alarm clock would be the sound of my Dad revving up his Harley outside my bedroom window. 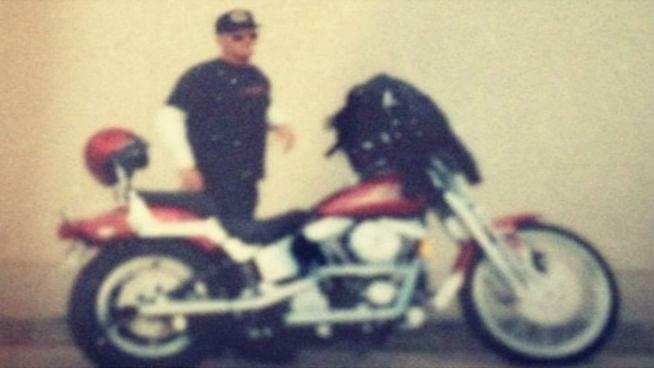 My Daddy passed away in 2006 and to this day every time I hear a bike rev up my heart skips a beat thinking of him. Here are a few pics of him with his pride and joy. One from the 70’s and one from the early 2000’s. It might be obvious why I now call him my “Rebel Angel.” Also, there is a pic of his Harley card that my Mom found after he passed and I now keep in my wallet.